The following is extracts form some of Isabell’s writings – 2011. How many edible weeds do you know in your garden or area? I encourage you to know an alternative food source in your surrounds and be better prepared for possible future failures in food supply. Several edible weeds can provide benefits to the immune system. Dandelion (Taraxacum officinale) might be a weed you have been pulling out of your garden. It has powerful healing potential. Please make sure you are eating true dandelion, as there are look-alike plants. Refer to my Herb Book for description of dandelion. Dandelion is an outstanding liver cleanser and strengthener. 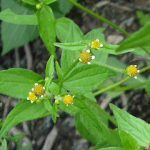 It is a traditional folk remedy to heal and tone up the liver, also a herb to relieve food allergies and aid digestion, as well as repairing damage that may have been caused by drugs, chemicals, alcohol, and infections conditions, like hepatitis. Dandelion benefits the immune system. The immune system of the body is a network of cells and cell products that defends the body against disease-causing organisms such as bacteria, viruses, parasites, and cancer cells. 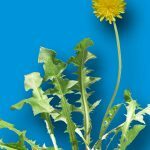 It is interesting, to note, that a dandelion-root tincture, taken daily, has been found to increase the production of interferon in the body, which has been found to inhibit viral multiplication, and also activate T-cells. Yellow Dock (Rumex crispus) is another useful weed, highly regarded for building strong blood. Strong blood is nutrient-rich, and this blood feeds our organs and cells, so they get the nourishment they need for optimum functioning. Strong blood helps muscles work well without aching and cramping. 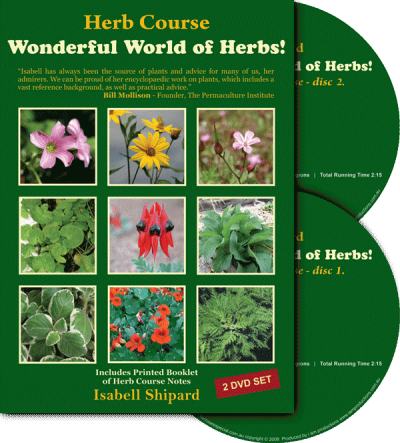 Other herbs/weeds that help build strong blood are plantain, chickweed, nettle, shepherd’s purse, wild turnip and cobbler’s pegs. 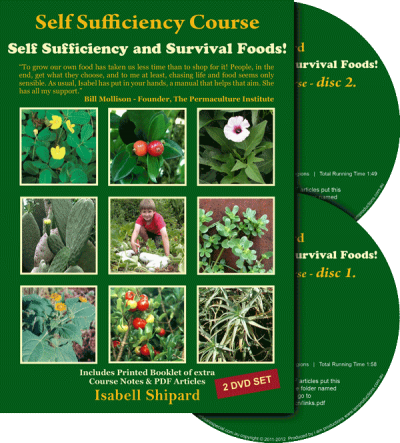 For details of these plants refer to How can I be prepared with Self-Sufficiency and Survival Foods? Let me tell you a wonderful true-life story about mini-sunflower. Over 30 years ago, a Permaculture group was started on the Sunshine Coast, Queensland, under the direction of Max Lindegger. We met monthly, and people were very keen to learn all they could about Permaculture, as proposed by Bill Mollison and David Holmgren in their Book “Permaculture 1”. A speaker at one meeting was a chap called John Palmer, who spoke about some edible weeds. 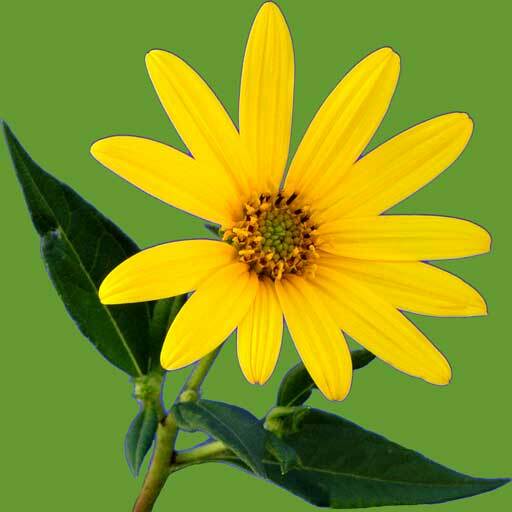 I must have known about some edible weeds at that time, as the one weed that stood out for me, was one little weed that John called mini-sunflower. Now, over the next 30 years, we set up our Herb Farm, grew many fruits, vegies, herbs, spices, and, guess what  the mini sunflower was growing along with everything else, and I always remembered John saying this weed was edible. 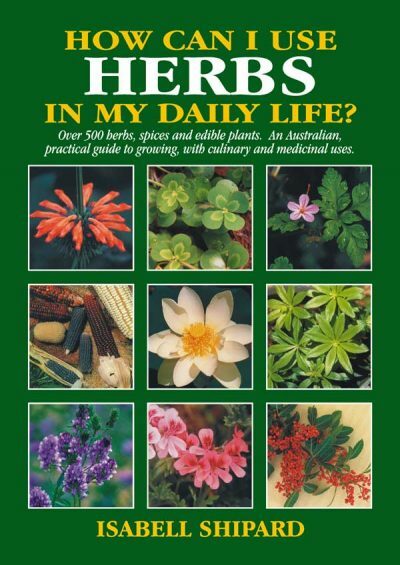 So I often passed this information on to folk who came to learn about plants at the Herb Farm. In 2010, Adriana came to learn at the Herb Farm. 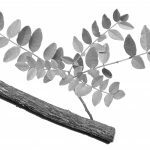 Although married to an Australian, her homeland is Columbia, and she brought some seeds of a plant she called Potato Weed, which is a traditional food in her homeland, often added to potato soup. I did a bit of internet searching to find out more about this plant. Botanical name, Galinsoga parviflora, a member of the Asteraceae family (along with all daisy flowers like calendula, chamomile, sunflowers and echinacea); annual to 60cm, hardy, will grow in any soils, in sun or shade, and guess what, this is the same plant/weed that I know as mini-sunflower. 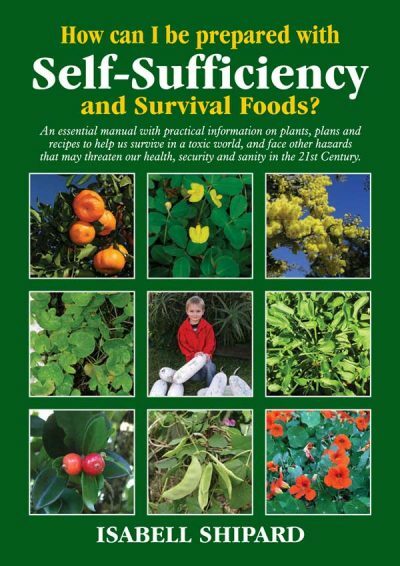 Soon after, Steven came to learn at the Herb Farm after he purchased my Self-sufficiency Book in Brisbane, and he was so keen to learn, so naturally I showed him the min-sunflower, which he added to his daily gatherings of edible weeds. Steven found with weed fossicking and growing sprouts to eat, he could indeed live on these foods. You can read more about Steven’s adventures in previous Herb Farm Newsletter emails. Now this enthusiastic fellow, shares his new found food knowledge with anyone who wants to expand their survival skills. Recently the Sunny Coast Raw Group visited the Herb Farm for a talk, and at the end a chap introduced himself, as John Palmer. I said, I remember you coming to Permaculture, Nambour over 30 years ago, you showed us the mini-sunflower as being a good edible weed to get to know. So information, John shared over 30 years ago, I have passed on to others, and folk like Steven have passed on to others; and through the Self-sufficiency book many more people will get to know of more nutritious edible weeds, and these people will tell others, this is what, passing-it-on means! We do need to be more prepared. Like Amanda said, when she emailed and said she had just read the Self-sufficiency book from her local library, and then added info to her blog spot: saying, “Everything I’ve seen on the news lately, both at home and abroad, it’s become apparent to me that things can turn sour in an instant. It’s not just happening in third world countries anymore, disasters are striking every day, in all parts of the world. And when things were going wrong around here all I saw was a lot of panic and not a lot of preparedness. Other than the obvious benefits of peace and tranquility, we have recently made the change to live a much more simple life, because it makes sense to us on so many levels. During the floods, it was quite scary to see how dependent everyone is on the “system” and how quickly entire cities can go without power, water, sewage, etc just because they are connected to the town’s supply of EVERYTHING (just look at what happened in New Zealand). Other herbs that are great to know. 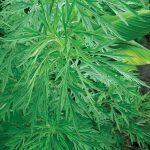 Motherwort (Leonurus cardiaca) I am starting to comprehend just how valuable this herb can be for the heart, and for menstrual discomfort, as people share with me their experiences. It is an easy to grow herb, which can be used as a tea, but note, it is a bitter herb; therefore some folk prefer to make it into a tincture, and this means, when taking the herb in this form, then it is just a few drops of bitterness on the tongue (washed down with a glass of water). A dose of 5-15 drops can be taken to ease menstrual cramps, pain, stress, moderate menopausal hot flushes, and balance hormones. The herb has also had use for lowering blood pressure, counter blood vessel inflammation and strengthening the heart. The use of this herb for the heart goes way back in Greek and Roman history, when used by people who had chest pains and irregular rhythms of the heart. It was also found to act as a mild sedative, and for conditions of tension and stress. Because this herb was so helpful to the heart, the Greeks and Romans called it cardiaca, which means heart, so, now we know, how it received its botanical species name. 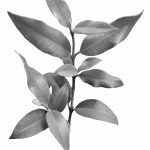 As a cardio tonic, it has been used to prevent the formation of blood clots, improve blood flow and reduce the risk of stroke and heart attack. For anyone who complained of chest pains or heart palpitations, it was a herbal folk-lore tradition to be given a mixture of motherwort leaves crushed to a pulp (these days we can easily use an electric blender) and mixed with honey. The honey helps get rid of some of the bitter taste of the herb. Sir Lauder Brunton, an English research scientist, said that it was known that the heart consumes a great amount of calcium chloride. This could be one reason that motherwort was so important as a heart tonic  because it contains much of the natural non-toxic calcium chloride. It has the ability to draw the calcium out of the soil. In England it was a herb used as a sedative that would calm a woman while she was waiting to deliver a child and they found it would relieve some of the pain. English midwives agreed that this herb was important for mothers. One midwife had told others that she had used the herb and it helped to speed up a difficult delivery. Another used the herb for calming the anxiety during the last week of carrying a child and making delivery less painful. Another midwife, noted, it helped to discharge the afterbirth. 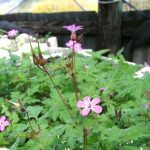 Herb robert (Geranium robertianum) is a valuable herb for health and healing. When you have it growing well, keep in mind that a few leaves crushed in the hands and then rubbed on arms and legs can help to deter mosquitoes, when working outside or tending your garden. Have cravings, need something to nibble? 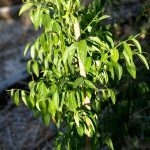 If it is just sugar cravings or it is due to stress of work load, exams, kids or what ever, try sucking on a lemon myrtle leaf or a piece of licorice root, or chewing some sweet leaf bush (which tastes like fresh peas). 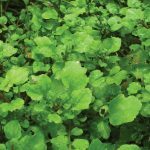 Recently (NaturalNews) in an email newsletter, reported watercress as an emerging potent anti-cancer super-food, with numerous studies highlighting its benefits. 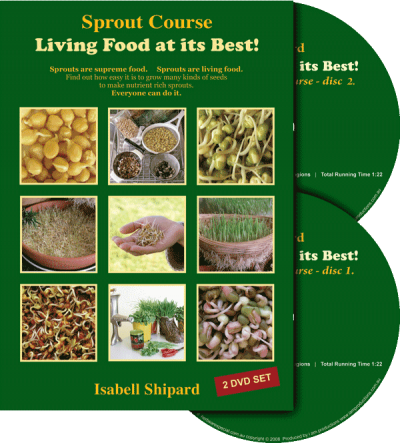 Natural News reported, “Studies have shown that eating as little as three ounces of watercress reduced the presence of breast cancer tumors in just hours after consumption. More specifically, natural plant compounds found in watercress halt a protein called Hypoxia Inducible Factor (HIF) from emitting signals that cause new blood vessels to turn into tumors. Watercress has also been found to out-perform pharmaceuticals such as tamoxifen and herceptin (note: watercress, however, is a natural herb that will not cause any of the harmful side effects brought upon by traditional drug use). Not only has watercress been shown to effectively battle cancer in the short term, but it also has been proven to ward off cancer in the long term, thereby preventing the onset of cancer in the future. Watercress has also been shown to “turn off” the blood supply to tumors. In addition, daily intake of watercress also reduces DNA damage and increases the cells’ ability to further resist DNA damage caused by free radicals. 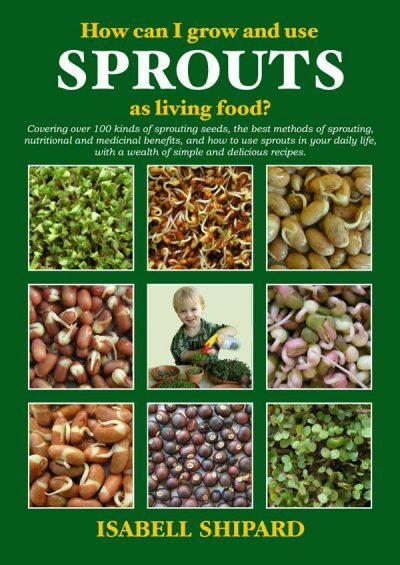 Note: in my Herb Book, first Printed in 2003, I mentioned the research done in Australia at Monash University 1997; and also the benefits of watercress in the war against cancer, as this herb contains vitamin B17 and germanium. Also, watercress is a source of lutein, which researchers say, can help prevent UV damage. Researchers have found lutein to be associated with a lower incidence of eye diseases such as cataract and age-related macular degeneration. The high levels of lutein found in watercress may have the additional benefit of preventing the development of coronary artery disease and heart attacks. Several studies have shown that dietary intake of lutein may protect the arteries from the development of dangerous arterial plaque. Lutein and beta-carotene are powerful antioxidants, and by regularly eating watercress, we get a boost of these. There are over 2000 mcgs of beta-carotene in 100 g of watercress leaves, which is said to be more than four times as much as in raw broccoli. Researchers at Ulster University, Ireland, found that a daily portion (a good sized bunch or cereal bowl full) of watercress can significantly reduce DNA damage to blood cells, which is considered to be an important trigger in the development of cancer. Watercress has another rather unique component, known as  nasturtin’ which converts into a form of isothiocyinate known as PEITC. Studies done with PEITC have shown some very beneficial results. A study published in Cancer Research in 2007 showed that the presence of PEITC can inhibit the growth of prostate, breast and colon cancer cells. In fact, PEITC has been found to prevent cancer growth at several different points critical to tumor development. Watercress has been used as a therapeutic herb to ease conditions like coughs, head colds, bronchial ailments, fluid retention, tuberculosis, asthma, emphysema, stress, pain, arthritis, stiff back and joints, diabetes, anemia, constipation, cataracts, failing eye sight, night blindness, leukemia, cancer, hemorrhaging, heart conditions, eczema, scabies, body deodorizer, bleeding gums, alcoholism, intestinal parasites, circulation, sluggish menstruation, lack of energy, kidney and gall stones, as a brain and nerve strengthener, ailments of the spleen, thyroid, and liver; to normalize cholesterol and blood pressure; for improved memory, to retard ageing; for failing or scant milk supply of nursing mothers, health of glands and to strengthen the functions of the body’s metabolism. Watercress can help to fight bad breath, and aid digestion by assisting bile flow. As watercress is low in calories, it can be used freely when juicing for weight-loss. No need to have a running stream for growing watercress, Plant some in a couple pots and place near the kitchen door, so you remember to use it regularly. Eat watercress and you may have a wealth of good health. You can read more about these wonderful plants and many others in Isabell’s books. 5 Edible Flowers Everyone Can Grow! Join over 400,000 people around the world who are rising up from the depths of diabetes and obesity… and thriving again!